Every time I have a piece accepted by the Washington Post's OnParenting section, it's a thrill. I was especially happy about this one because I've spent the past two years researching the digital lives of our kids. 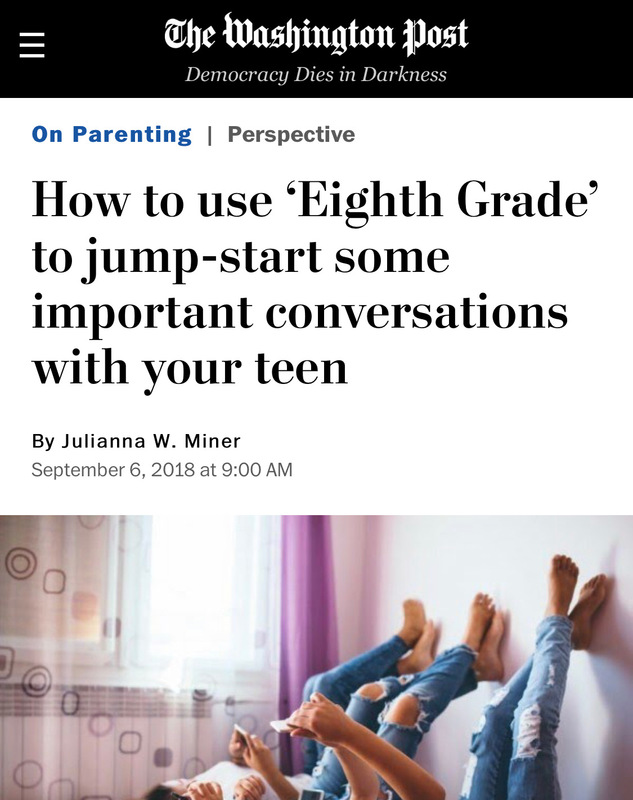 This article gave me the opportunity to integrate that research with some important parenting conversations we should all be having with our tweens and teens. I also love this piece because it's a great peek into what my upcoming book is going to be like. Have I mentioned that book? It's called "Raising a Screen Smart Kid: Embrace the Good and Avoid the Bad in the Digital Age" and it will be published by Tarcher Perigee/Penguin Random House in late summer 2019.